Didn't they turn out cute? I wasn't sure how they'd work out, if the tissue paper would stick or if they'd sharpen okay, but they're perfect! I wanted special pencils to go with the special notebooks that I made for the kids in my Girl Scout troop, but I didn't want to buy them, of COURSE. Instead, I experimented with our stash of plain old #2 pencils until I found a way to create the specialness that I wanted all by myself. tissue paper. I bought a set of tissue paper squares years ago, and we love them. Use them all the freakin' time. 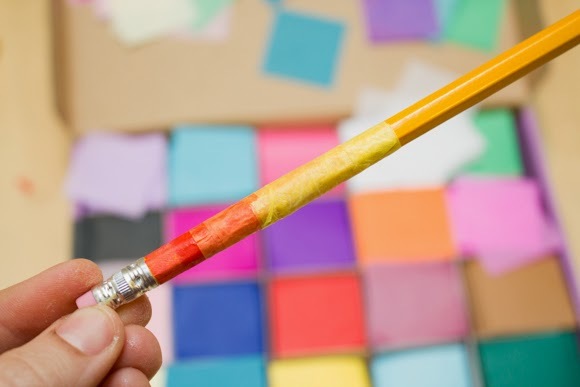 The project is a little fiddly, however, so it may not be great for those with fumbly fingers. For one thing, the tissue paper is quite delicate, especially when it's saturated with Mod Podge, and rips and wrinkles very easily. For another, no matter what they say when you buy it, tissue paper bleeds like crazy! 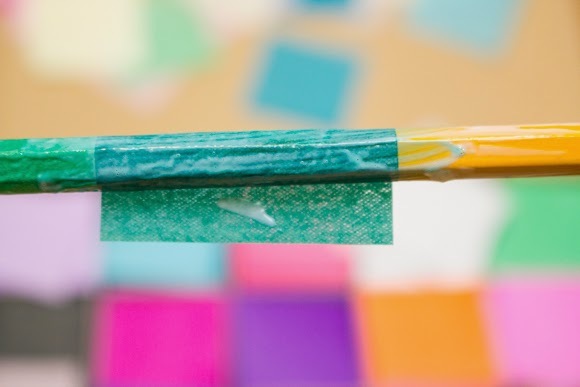 You must be very mindful not to paint glue with a heavy hand over the top of the tissue paper, or you'll get the color on your brush and it'll show on the other colors that you're painting. Easy to wipe off, but a pain to have to keep cleaning your brush. 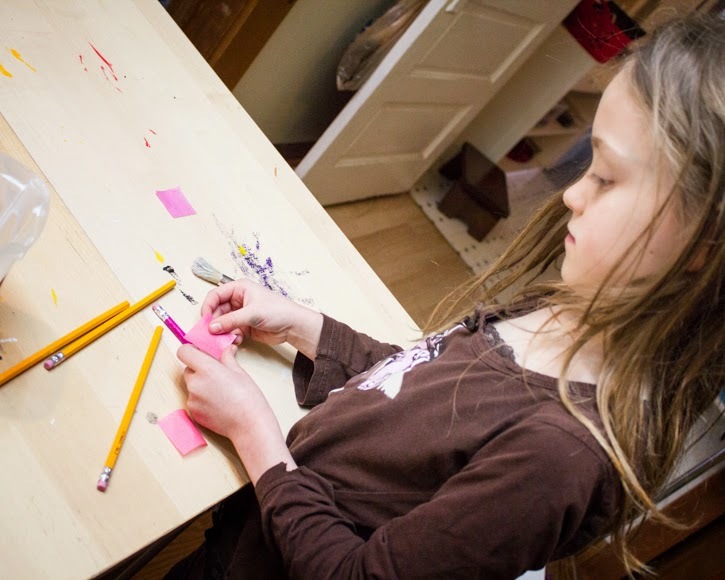 That being said, Syd was able to help me make several of the decoupaged pencils, although she's pretty good with fiddly projects and does not have fumbly fingers. 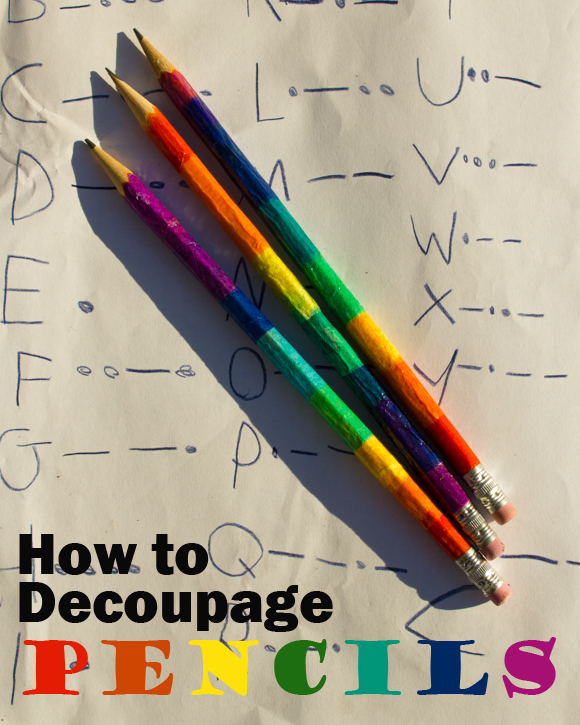 The pencils will sharpen and write normally once decoupaged, although I do have to adjust our old-school, wall-mounted, manual pencil sharpener two holes larger for these pencils. 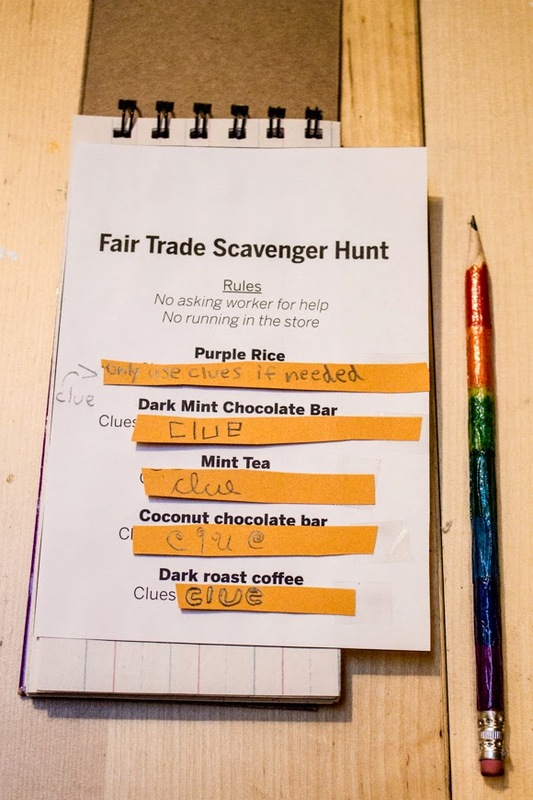 Syd also created a scavenger hunt for Fair Trade products in the grocery store that we had a field trip to on Monday, so the notebooks were a handy place to glue them, all ready for each kid to play! I was happy to see many of the kids taking notes during that field trip, using their brand-new notebooks and pencils, and I'm hoping that if each kid can manage to bring the notebook to each meeting and field trip, that it will be a handy place to keep notes, glue more activities, and work on projects for quite a while! 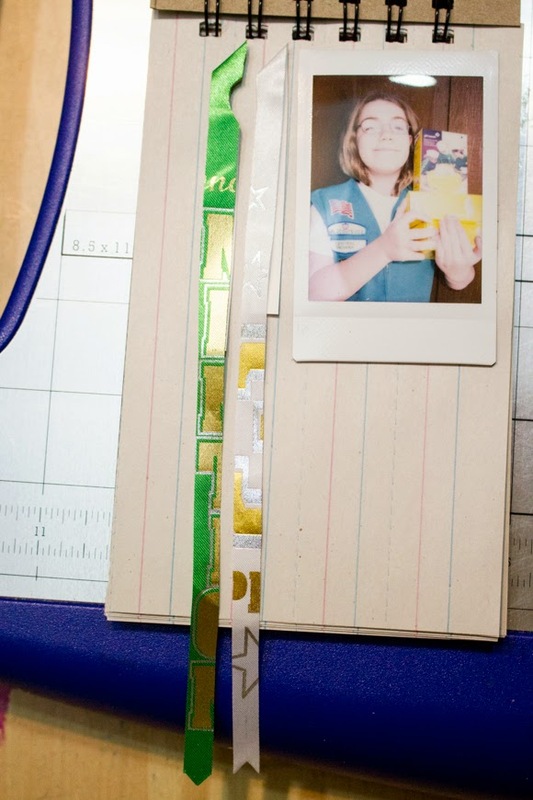 Until next Girl Scout cookie season, of course, when I'll make them each another notebook.